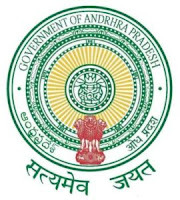 Andhra Pradesh Public Service Commission was formed when the state of Andhra Pradesh formed on 1 November 1956. Earlier, the commission was known as the Andhra Service Commission which is based on the regulations of Madras Public Service Commission. Applicants who have completed Intermediate Examination or equivalent from a recognized Institute for APPSC Sarkari Naukri 2019. Eligible & Interested candidates can Apply Via Online In Official website page at www.psc.ap.gov.in APPSC +Sarkari Naukri 2019.